High potassium levels associated with the use of renin-angiotensin-aldosterone system inhibitors limit their use in CKD patients. Novel agents introduced recently for managing hyperkalemia in outpatient settings will create new opportunities to get the most benefit from renin-angiotensin-aldosterone system (RAAS) inhibition in patients with chronic kidney disease (CKD), according to the authors of a review article published in Current Hypertension Reports (2016;18:55). 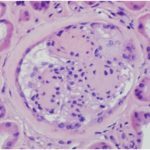 Optimizing RAAS inhibition is one of the important therapeutic goals in the CKD population, but development of hyperkalemia as a result of treatment is a major impediment, wrote Anjay Rastogi, MD, PhD, and colleagues at David Geffen School of Medicine at the University of California Los Angeles. Dr Rastogi, along with Farid Arman, MD, and Setareh Alipourfetrati, MD, reviewed the risks and benefits of the 4 classes of FDA-approved RAAS inhibitors: angiotensin-converting enzyme inhibitors (ACEi), angiotensin receptor blockers (ARBs), mineralocorticoid receptor antagonists (MRAs), and direct renin inhibitors (DRIs), of which only aliskiren is FDA approved. They also reviewed the trial data for patiromer and s, new hyperkalemia treatments that can reduce the risk associated with the use of RAAS inhibitors. Dr Rastogi and his colleagues explained that the potential risk of potassium retention is an important limiting factor in the use of RAAS inhibitors. The overall incidence and severity of hyperkalemia associated with RAAS inhibitor use is low in patients with relatively normal kidney function, but is more prominent in those with renal insufficiency and/or diabetes, they wrote. Rapidly acting transient therapies for hyperkalemia are available for use in emergency situations, Dr Rastogi and his co-authors pointed out, but therapeutic options for use in preventing and treating hyperkalemia in the long term are limited. One of the treatments for hyperkalemia is sodium polystyrene sulfonate (SPS), which is administered orally or as a retention enema. It takes up potassium and releases sodium in the colon. SPS, however, requires multiple doses and it has a noxious taste, causes diarrhea, and has been associated with rare but serious adverse effects. “As a result, it is best to use SPS only in potentially life-threatening hyperkalemia when dialysis in not readily available and other therapies to remove potassium (e.g., diuretics) have failed or are not possible and it should not be used for chronic maintenance therapy,” the authors wrote. The recent introduction of patiromer (Veltassa) and sodium zirconium cyclosilicate (ZS-9) has been promising. Patiromer, which was recently approved by FDA, is a nonabsorbable organic polymer administered as a powder that easily mixes with water. Patiromer binds with potassium in exchange for calcium in the colon, thereby decreasing the amount of potassium available for gastrointestinal absorption. Sodium zirconium cyclosilicate, which has not yet received FDA approval, is an orally administered, nonabsorbable polymer that selectively traps potassium ions. The drug has a potassium binding capacity 9 times that of SPS, the authors noted. It exchanges sodium for potassium in the GI tract, beginning in the duodenum.